**VW CERTIFIED, **POWER MOOROOF, **HEATED LEATHER SEATING, **CLEAN CARFAX.. NO ACCIDENTS!, **FULLY RECONDITIONED, **PREMIUM VIII TOUCH SCREEN SOUND SYSTEM, **PREMIUM ALLOY WHEELS, **SIRIUS SATELITE RADIO, **IPOD CAPABLE. We are the #1 VW Certified Dealer in North and South Carolina! Offering the best selection and most knowledgeable sales staff around. All vehicles plus tax, tag and doc. At VW of South Charlotte we offer Market Based Pricing so please call to check on the availability of this vehicle. We are committed to getting you financed and have extremely low interest rates from over 25 different banks. Every vehicle goes through a thorough 112 point inspection to bring the best product to our customers. Here at VW of South Charlotte we strive to put customers first and give them the best product available! Thank you for your business. Born in Bitburg, Germany and grew up in Florida. I've been with Volkswagen since February 2018 and couldn't be happier. Outside of work I enjoy mountain biking and paintball. Coming to volkswagon of south charlotte was not a mistake. We spoke with Brandon Douglas and felt comfortable with our car buying decision. Will recommend. I ended up coming to Volkswagon of South Charlotte, and spoke to Brandon Douglas, simply due to him being highly recommended by one of my friends who said he had a great experience. I at no time felt any pressure to buy a vehicle. He was very knowledgeable on the vehicles that were on the lot and also answered all of my questions that I had. If and when I need another vehicle I will be back. I was in the market for reasonable priced used vehicle. I had been to several dealerships already and this was my last stop. When I walked in, I was greeted by knowledgeable and professional Jendy. I was pleasantly surprised. I told him my budget and was not pressured to go over it in any way. I didn't test drive that day but came back the next day. Jendy was not there, but Brandon stepped in and equaled the service and knowledge from my initial experience. Purchasing a used care, I am happy that the car is certified and has an extended warranty. I highly recommend this dealership for any vehicle purchase. Very positive experience from start to finish. Called about a used car based on looking at online inventory. Brandon got right back to me away. Came in and looked at cars and found expertise to be positive. Bought a car the following day and a reasonable price. Awesome buying experience. Brandon Douglas made the buying process easy. He really listens to his customers needs and delivers the ultimate buying experience. I recommend him 100%. It was very easy and painless. With numerous questions answered in a professional and friendly way with the opportunity to come back with open arms. I went in to just look at a Tiguan. I did not plan on buying, however everyone was so amazing I decided to buy the car. I was torn between Nissan and Volkswagen and the customer service I received at Volkswagen sealed the deal for me. Had an overall great experience with Bill, Brandon and Chris. Love my new Tiguan! I would gladly recommend them to anyone in the Charlotte area. VW of S Charlotte was awesome! They went above and beyond to get me in the car i wanted. Will def be a repeat customer! Brandon was super helpful & very informative. He was also well educated about the vehicle features, interior and exterior. He was not pushy but was super confident in the cars he sold. Brandon made our car buying experience incredibly easy and enjoyable. My husband and I were looking for a specific car within a specific budget and Brandon was able to find us several options. Even after we purchased, Brandon went above and beyond to help us with a few things we needed. He's super nice and helpful and we'll definitely be going back when we need to buy again! I reached out to the dealership because of a vehicle I found online. Brandon responded and was fantastic! He followed through on everything he said he would do. From calling when he said he would, getting information as he promised, and communicating thoroughly, Brandon is the reason I made the hour drive to the dealership! The sales agent truly listened to what I was looking for, as well as my budget. He found the perfect car that fit everything I was looking for! The buying process was super smooth- the finance personnel had the paperwork ready for us, was easy to talk to, and made everything easy. From test drive to signing was super quick. We were in and out in just a couple of hours. Last time we purchased a vehicle from another dealer, it was an all day ordeal. Very happy with our experience. Brandon was fair, pragmatic, and very knowledgeable about the car. He made my experience quick, efficient, and found the deal that I was looking for. He also has made himself very available - for an end-to-end, seamless car-buying process. I appreciate Brandon and would recommend him to my friends. Thanks Brandon! Brandon was my first point of contact with the dealership many months ago and he was there until the end. Very honest , responsive and a pleasure to deal with. Bill helped me get a car for a good price and even though my situation was difficult we were able to get everything done in a timely manner and had no issues. Brandon Douglas at VW South made my Passat purchase as easy and friendly as one could hope for. His attention to detail and obvious concern for the whole experience is beyond any car buying experience I’ve had... ever. Tell him I sent you. Brandon D is Your Guy!!! I have been looking for a vehicle for about 5 months to lease for the first time on my own. As a young girl, the car buying/leasing process is intimidating. Well, that is if you go anywhere else. After looking at other dealerships, I am so glad I ended up at VW South Charlotte. I had the pleasure of working with Brandon D. who was extremely professional, but in a manner that made you feel at ease about such a big purchase. He never pressured me, and always made me feel I could speak my mind and ask questions. He helped me get one heck of a deal, and I HIGHLY recommend him to anyone in search of a vehicle. Great dealership! They'll treat you right. We just got our second car from VW South Charlotte. Everyone one there is awesome from sales to finance to the service dept. We've always been treated very well! If you're looking for a new car, go see Spiro or Brandon. My husband and I had the best experience at VW of South Charlotte. Our salesman, Brandon was excellent- knowledgeable, friendly, low-pressure- everything we could have hoped for. The team worked with us to finance where we were comfortable and we couldn’t be more pleased with our purchase! The best car buying experience ever!! The car buying process can be frustrating. I have spent hours in a dealership doing paperwork and being hassled about additional warranties and options. But, Brandon Douglas and Matt Hettel made it an absolute breeze. I contacted them because I knew what I wanted, they found it, gave me a great deal (based on other offers I had already received) and even offered to deliver the vehicle as a courtesy to me since I didn't leave in the area. They were super responsive to all of my questions, answered my calls/texts/e-mails and really went above and beyond to make the process as streamlined and easy as possible. I was extremely impressed. If you are thinking about buying a new/used car, I would definitely go see Brandon and Matt at Volkswagen of South Charlotte. Vic was patient, easy to work with and took great care of us. This was my first lease and we were in and out in no time with no surprises!!! This is not my first new car, but it has by far been my best experience in buying a car. Both Vic and Chris made my experience super easy and enjoyable. Great first time car buying experience! Everyone at the dealership is kind and respectful. We worked with Victor who was great. We Will definitely be going back for our next car! No pressure dealership. I got the car I wanted at a very reasonable price. Our salesperson, Vic, was very helpful and patient. He went out of his way to make sure we were happy with our purchase. Zero pressure with great results, the way buying a car should be! I actually had a really great experience. Purchased the CPO VW without hesitation and left completely satisfied. Not this time I was so nervous but Victor his manager Patrick and Chris in Finance made this such a easy and simple process from the test drive to working with my credit union they were so accommodating and constantly reassuring. Thank you guys so very much I'm very very pleased with my car and especially with my experience with VOLKSWAGEN OF SOUTH CHARLOTTE ?????????? My husband and I had a wonderful experience at VW South Charlotte. All of our questions and concerns were addressed throughout the process. Great communication without any sense of pushiness. We are so pleased with our new car and we look forward to working with this dealership in the future! Wish I could give Vic and the whole team 10 stars!! I can’t say enough about my experience with Vic and the VW South Charlotte team - and I never even set foot on the lot! I called Vic about a car I saw on their website ten minutes before closing. Within a few days, Vic had the car detailed, gassed up and drove it to me himself - all because I couldn’t make it into the dealership. He was so genuine, sincere and patient. He was attentive and detail-oriented - made sure I was comfortable with the entire process and never once did I feel rushed or pressured. If you need a car - VW South Charlotte, and especially Vic is where you need to go! Baby Shaq is the best! Vic was easy going and made this sale one of the easiest car purchases ever. Had he been pushy at all I would have walked away in an instant. Plus we found a scratch on the window and he got it fixed without question. I love my new car! Thanks Victor, you made buying my new Tiguan a fun experience. It was not a hard sell, they gave me the best deal I could possibly want. Thanks again I will definitely come back to this dealer. Really enjoyed my car buying experience today. Vic was great to work with - easy-going, no pressure, accommodating and pleasant to chat with - the same as I found every team member there to be. They respected my time and made it as fast and as smooth as possible. Will definitely recommend to anyone! Really appreciate Victors honesty and his friendliness helping us selecting and buying our 2018 Volkswagon Atlas. The car is everything we needed and wanted! Drives like a dream! #THEMANWITHTHEVWTATTOO Hello, my name is Saaid. I work for VW of South Charlotte in Charlotte NC. I am from Acapulco MX, I miss the beach life, haha, but I love what I do. I am friendly and outgoing. I love my line of work because I like meeting new people every day. I've loved cars before I could even talk, so I am definitely what you call a "Car Guy". My passion for the VW brand started the very 1st car I owned, which was a 1995 VW Golf 5spd manual(MK3). It was the base model with roll-up windows and even a Cassette player lol, but I loved it. It had 215 thousand miles when I bought it, was daily driven for 10 years and had around 330 thousand miles when I finally sold it. The engine was never rebuilt, nor did the car have any other major problems. in my own opinion and experience, it's all about the service and maintenance. Hope to meet you soon!. I had great people to work with. I had a very difficult situation to deal with, and they all certainly worked their magic helping me! Saaid and Jendy were awesome. Best VW dealership everyone is great and very helpful in every way. They answer all your questions related to cars and finance. 10 stars all the way. I had the pleasure of working with the best car dealership i have ever been to. Saaid my salesman wasn't pressuring. He took the time to explain everything i wanted to know about the vw i was buying. Matt another salesman rode with me on the test drive and just in case i wasn't sure about the one i was test driving he was still looking for other jettas i might want to look at. The last person i met was Christopher Woodard the finance manager, he made the effort of going over everything in detail without taking up alot of time because i was driving back to Georgia that day which is a 4 and a half hour drive and i was almost 6 in the evening. I must say if i had to do it all over again i wouldn't change a THING! Would recommend this dealership to everyone i know!! Everyone was very nice and helpful and took the time to go over things. Very good at follow up. The had a lot of great cars in stock. Best car buying experience in 20 years. Salesman very knowlegable and friendly. Great team. Low pressure sales and very respectful. Very thorough with the entire sales process and spending time educating me about the new car. Great customer service and knowledge!!! Saaid gave us great service looking for a new VW. His knowledge was awesome!!! His personality made the experience a great one and we will be back. Saaid answered all my questions thoroughly and without hesitation. Saaid is very knowledgeable and I can tell he loves his job. I wish there were other salesmen like him. Where at other dealerships, salesmen are just trying to sell you something without caring about the customers requests. Saaid really listened to all my questions and really made me feel catered to and made me wish I could buy a car right this second. He was very up front and honest with me. He went out of his way to get me all the information I requested. Thank you Saaid! Keep up the awesome work! Saaid is the best salesman you could ever hope to get when buying a VW! Extremely knowledgeable and friendly. Don’t waste your time elsewhere. 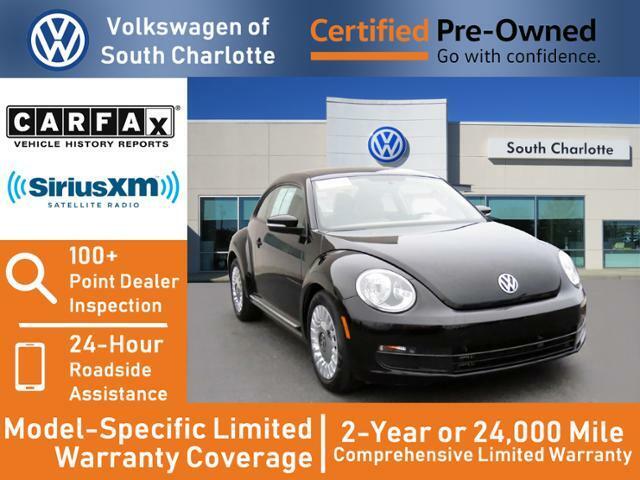 Saaid at VW Of South Charlotte is all you need to know. Very profesional. A great guy to talk too. He explained to me everything that I needed to know and answered all my questions.!!! Great person. I recently went to VW of South CLT to see what my options were, Saaid was very helpful, had so much knowledge about VW. All my concerns and doubts were answered. The man has a gift. Planning a second visit to go see Saaid, only this time to walk out with a brand new car!!! My experience was great and also my sales person Saadi Olmedo was Friendly and well knowledgeable. He Helped me understand and listen to my needs . Thank you Saaid and Christopher for making the purchase of Kelsey’s Jetta a pleasant experience! We will definitely be recommending Volkswagen of South Charlotte. Single-handedly THE BEST automotive sales experiences that I have EVER had. Mr. Olmedo was TREMENDOUSLY helpful, knowledgeable and friendly. He made the entire process easy and comfortable. Every other vehicle I purchased was a long drawn out ordeal that stressed me out. Saaid created a very relaxed but still exciting atmosphere. I HIGHLY recommend this dealership and more importantly, Mr. Olmedo for anyone looking to purchase their next vehicle. THANK YOU VW OF SOUTH CHARLOTTE AND MR. SAAID OLMEDO!!!!! Saaid Olmedo did an awesome job! I definitely recommend this dealership. It's very clean, everyone is nice and personable and they got me out of there quickly. My sales guy Saaid was super helpful and laid back. Good job guys! All the tingles!! Best experience ever!! Customer Service at it’s best! Wonderful experience at this dealership when we traded our older Honda van for a 2016 Volkswagen SUV. The Sales Consultants who helped us were very friendly. We picked a very rainy day to make our trade-in, and despite the lousy and chilly weather we received a warm welcome and excellent help with our purchase. We will be back when my husband is ready to purchase his next vehicle! Our experience with sales consultant, Amber Dowell was very rewarding; she was knowledgeable of and attentive to our needs. Overall, Volkswagen Of South Charlotte is a great dealership. How many times have you been to a dealership and felt that you know more about the cars than their own sales people !? I know it happened to me pretty frequently. However, not when you see Saaid Olmedo (Sales Consultant) at VW of South Charlotte. I am driving a VW Golf GTI Autobahn with all packages you can buy. After my Android S8 got an update over night, my Golf connected me constantly to MirrorLink instead of Android Auto. I went to VW South Charlotte the same day and three people (sales + service) could not figure out how to solve the problem. Since I had another appointment I left and spent two hours to google the problem for a solution (btw, this is a very common problem and google could not help me either). I returned two days later VW of South Charlotte with more time, hoping that someone would be able to help. Well, the front desk connected me with Saaid Olmedo. Saaid walked with me to my car, knowing that I will not buy a new car from him. Still, he sat down, fixed the problem in less than a minute and showed me many other amazing features I did not even know I have. Saaid new everything about my car and took the time to explain all these features. But the best - listen to this - he hitched up his shirt sleeves and showed me a tattoo ... a big blue VW-logo. He is a VW enthusiast since decades and just loves VW. This passion for the brand and his friendly & kind personality will definitely get me back to him next time I am buying a VW !! The experience with Saaid was Great! I got the car that I wanted from my trade and I am loving every minute of driving now! I loved my salesman Saaid Olmedo. Saaid was so knowledgable any question I had he knew the answer. Saaid took the time and showed me how to work every feature on my new Atlas. When I left the dealership I was very confident in my purchase. Volkswagen of South Charlotte was very fair to deal with. Andrew Woods in the finance department was very personable. Andrew explain in detail all about the warranties. My kids had a blast! What kind of crazy person brings two 6 year olds to a car dealership?! Well...one who didn't want to be stuck there for hours, with a great excuse to leave. :) What happened you ask....my kids ended up having a blast, the staff was incredible, and it ended up being my best car buying experience ever. So not what I was expecting. My kids enjoyed the kids play area, but mostly played hide and seek (staff involved), talked with employees etc. They had fresh pizza and while I was doing paperwork they literally sat down with my kids and fed them. Seriously my kids want to go hang out there now, LOL. I had a great experience with Saaid, Moe, Alden, and I can't remember my finance person's name (sorry Blue Shirt Guy). I am now and forever a VW girl! Bill Patterson in the internet sales department made the purchase of our new vehicle easy and seamless...even from another state! We arrived and all of your paperwork was ready to sign - no haggling or pressure! I had the pleasure of working with Bill Patterson and his wonderful sales manager Kwasi! Now let me tell you my situation was not the best. I had about $9000 negative equity in my trade with $167k miles to go along with it! Needless to say I arrived around 2pm and left around 430 pm in my brand new 2019 Volkswagen Tiguan SEL! 2.5 hours. Maybe 15 minutes negotiating- we were ready for one another and I was out! This has been by far the best car buying experience for me and I didn’t have to pay 5k down or even $2k down for that matter. They took care of me and all within the confines of my budget. No pressure, no pain just clean , upstanding, respectful customer service!!!! Bill and Kwasi - I can’t thank you enough!!!!! Shonda S.
Love This Dealership and the Employees! Great customer service and always a pleasant experience! This is my 3rd VW and I am very thrilled to stay loyal to the company and the employees! Easiest and most honest car buying experience! Bill helped me find the perfect car for me, got me approved and in my new car in one day! He even worked with my work schedule to get me in and out and on my way to work on time! Absolutely the most wonderful car buying experience I’ve ever had. Would certainly recommend this dealership and Bill to others! We enjoyed working with Bill and felt like we got a great deal. We love the new car and look to our family using it for years to come. I worked with Bill Patterson and had a great experience. The VW team was professional, efficient and accommodating. They were even able to get the exact color and model I wanted within 2 days from a dealership in another state. Highly recommend! My husband and I were in the market for a vehicle that would meet our needs. In a nutshell we are a family of five so space was important as well as staying within our budget. Bill Patterson, our salesman, was knowledgeable of the vehicles we were interested in. He was not overbearingly aggressive which we encountered at other dealerships when shopping around. This made the car buying experience enjoyable. During the process we meet other team members that did a wonderful job too. Thank you VW of South Charlotte! We love our new vehicle. Bill was really great to work with. He took time to answer all of our questions and we got a really fair deal. Would definitely recommend! Bill was very prompt in answering and respoding to all of our emails and was patient in our requests to see several vehicles. Great experience! Overall review: Very good experience, straightforward, easy and painless. No foolish games like many car dealerships. Saw 3 GTIs listed on website. Contacted Bill via website, set up an appointment. Bill was prepared for appointment, all cars were present and at the same price listed on website, and Bill had keys ready. After test drive, sat down to talk numbers. Bill was very straightforward, no silly games like other car dealers. After a quick / simple negotiation, we agreed on a price, filled out the paperwork, wrote the check, reviewed the features, and the car was ours. We kept waiting for the “other shoe to drop” (manager saying price was no longer valid, late appearing added fees, etc) - it never came. Bill and the team stuck to the negotiated price and completed the sale. Overall - a very civilized, straightforward, painless trip to a car dealership that ended with no hard feelings, and a sale. Will positively recommend dealership and Bill to others. Bill Patterson was an honest upfront guy to deal with. There was no hassle. I would do it all over again. I highly recommend Volkswagen of South Charlotte and Bill Patterson. Went with my daughter to look for a new Tiguan. Inquired online and was contacted by Bill Patterson. He was very knowledgeable and professional. I highly recommend VW of South Charlotte and Bill Patterson. As a sales family, we have an appreciation for company loyalty and customer service. We certainly experienced both in Bill Patterson and our Salesman, Moe Borno! Both were friendly and professional. Moe listened attentively and was very helpful . There was no pressure. My son and I left and returned in the afternoon to close the deal. I have never bought so fast! Kudos also to the affable and conscientious Chris Woodard who finalized the paperwork Thank you all for a very pleasant experience! Really like my new car, but in a few years I would enjoy buying from you again and will definitely recommend you to others! Bill Patterson was great. Professional, thorough, wanted us to be happy with car. Dealing with this dealership was pretty much no hassle. We negotiated and they gave us the price we wanted. Car is very clean, recently serviced, and all paperwork with car, including CarFax, was printed up and given to us. Also LOVE that they have a 30 day warranty with used car. Most places are as soon as you drive it off the lot, it's not their problem anymore. Great experience! Highly recommend! stubbornly clinging to outrageously over-priced offer. I spent 3 weeks locating a certified 2015 Volkswagen for my son so I knew the range of prices to expect when I foolishly drove an hour and a half to this dealership. Thye not only would not budge an penny from their stiker price which was 1500 over the other 2015 Jettas I had already found, but they added on so many charges that suddenly the price tag on a 2015 Jetta was over 19,000. I bought a brand new one in 2015 for 15,000. This one had low mileage so I was willing to pay a little more (my own city had a number of them for 14,500) but when they showed me an upcharge of $1100 for "low mileage", I asked why and was basically told 'because we can'. My point is that the car's price was no where near fair and was posted well below their OTD price. The sales people were gruff, and authoritarian. my husband and I walked out. This is the 4th car my wife and I have bought from VW of South Charlotte. We love the friendliness of the staff and overall atmosphere. Our buying experiences have always been easy and smooth and the staff is always very accommodating. This was the first time we worked with Bill and he went above and beyond to locate the car I wanted and have it brought to Charlotte. He provided us with everything we wanted in the car. I would highly recommend buying from VW of South Charlotte. From the moment I walked onto the lot Bill was a refreshing breath of fresh air. He is a straight shooter & goes above and beyond for his clients. I can’t say enough nice things about my experience. If you are looking for a great deal, customer service and just all around nice people go see Bill & the team in South Charlotte. Quick, Easy and Simple. GREAT SERVICE! It was a pleasure working with Bill. I found a car on vwsouthcharlotte.com, submitted my interest late at night and received an e-Mail first thing in the morning. I submitted a finance application and received an approval by the afternoon. Bill was straightforward and helpful throughout the whole process and had my new 2017 Jetta SE waiting for me at the dealer. It was pleasure working with Bill and the staff at VW of South Charlotte. Thank you guys for the great experience in purchasing my first brand new car! I had just so bad an overall experience purchasing a vehicle from VW South Charlotte that I have nothing left to do but post my honest account of what happened. I ended up at south charlotte VW after getting the best online quote on 2 different VW GTI's. Upon arriving at the dealership all the way from Raleigh and deciding on a white GTI upon the start of the paperwork I was told the price had changed an VW could not offer the addition $750 discount on this car even though I had written and verbal proof of this from the salesman I spoke to. After arguing back and forth they ended up meeting me in the middle and not having a ride back to Raleigh I gave in. This isn't even the worst part, He then tells me that I must finance through VW credit in order to get these discounts and also states that I have to accept a higher interest rate than what would be normal for my credit range. After arguing about this as well I figure fine, ill just refinance it later. fast farward a couple months and I get a welcome packet from Capital One auto financing. Not only did I obviously not need to finance through VW like they said, they end up financing me through a different finance company than initially agreed upon (IN WRITING) This company clearly has no problem telling bold face lies to customers in order to nickle and dime them every step of the way. If you are considering buying a car here I urge you to reconsider. I will be letting VW corporate know about all of this and will also let it be known throughout my customer satisfaction survey. Bill made buying my first car an enjoyable process. I felt right at home and I really love my brand new Tiguan! Thank you so much, bill! My daughter recently graduated college and was looking for her first car. She had her heart set on a SUV. Her salesman, Bill Patterson, was very helpful in making sure she found the perfect car and fitting it into her budget. He answered all our questions, and was patient with her as she went thru her different options. The Tiguan, she choose was beautiful, functional and with within her budget. I highly recommend Volkswagen of South Charlotte, and Bill Patterson. I felt he had our best interest at heart and that means a lot. Bill Patterson was a straight shooter with me from talking on the phone to signing the papers. Spoke with several other dealerships from Scott White in Greenville SC to Stone Mountain GA and VW of South Charlotte got my business. Not only were they the lowest price on vehicle, but several extras that none of the other dealerships were offered like window tint, heavy duty rubber mats and door edge guards. I would recommend this dealership to anyone. Well worth the 4 hour round trip for the car. Working with Bill Patterson, who emailed me quickly after my initial inquiry, set up an appointment for a test drive on the exact vehicle for the next day. He was courteous and prompt and delivered an excellent car at an excellent price, with no haggle. I appreciate him and the dealership experience. Matt and Bill made my first internet car purchase very easy and friendly. They both went beyond their needs to provide my needs by picking me up at the house after business hours. They're great employees because they both made me feel as a friend instead of customer with sale number. Best car buying experience I've ever had!! I was very specific about what I wanted and Bill Patterson got it done fast! He was very easy to communicate with and responded quickly to emails and texts (my preferred methods). Rick Pitre in the finance department also did an amazing job. He went above and beyond to take care of us!! I will definitely be recommending them to my friends and family! I contacted VW of South Charlotte using a link on their website regarding setting up a test drive on a new Golf. Bill Patterson responded by phone within 10 minutes and we set up an appointment for the next day. The sales manager also replied, acknowledging that Bill was working on my request. I drove 110 miles to their dealership because of the good selection of Golfs. Much to my pleasant surprise, when I arrived at the dealership the Golf I was coming to test drive had already been pulled right up front. Bill Patterson met me and off we went on a very thorough test drive in the Golf. I had already mentioned to Bill that I also wanted to look at a Jetta and Golf Sportwagen. After the Golf drive and while I was looking it over further, Bill brought the Jetta up to drive. Upon returning in the Jetta, Bill brought up the Golf Sportwagen to drive. I ended up choosing the Sportwagen as it drove the best and was the most comfortable and offered the most utility for my needs. Only 4 hours from arriving to driving away with the clean, full of gas, Golf Sportwagen. Pretty quick considering 3 extended test drives, getting my trade-in appraised, financial paperwork, and transferring personal things from my trade-in to the new VW. Everyone at VW of South Charlotte were most helpful, and not the least bit high-pressure in their sales technique. Very good experience. Sales went beyond expectations. Bill Patterson stayed late after meeting me at the train and we completed all paperwork do I was on my way either ease great service. I purchased a car from out of state without seeing it in person. Bill assured me that it looked as good in person as it did in photo's, he even went the extra mile and sent me a video close up on the car so that I felt reassured. The car was shipped to my home, arrived yesterday and it looks as good as I was told. It is perfect :) Thank you Bill for all your help! Bill Patterson was very helpful and friendly! Would suggest Bill Patterson to others! Bill was very friendly and helpful through the whole process. Thanks Bill for understanding our needs and meeting them! Bill Patterson was most helpful and accommodating. He and manager, Patrick, made a very reasonable offer. This was early in my car search and I ended up purchasing somewhere else but these folks could not have been nicer. They kept in touch without being annoying. I highly recommend this dealer. I was treated well, not pressured. My salesman was Bill Patterson. He was excellent, he listened to what I needed and what I was looking for, and was most helpful. Everyone I encountered there was kind and helpful, and I would highly recommend this dealership. Bill Patterson in the Sales Department had provided excellent service today when I decided to trade my 2017 VW Jetta SE for a new 2017 VW Jetta SE. He was very nice and courteous. He was able to address all of my questions and concerns. I left the dealership with my new car without any buyer's remorse. I love as love knows ng to lease an SUV and chose a tiquan from SCharltte VW. My salesperson, Bill Patterson, was very professional, polite and I never felt any pressure. It was a Pleasant experience leasing my new Tiguan an. I highly recommend Bill Patterson and South Charlotte VW to anyone interested in purchasing a new car. When my lease was ending Bill was very patient and accommodating while helping me get into a new lease. He went above and beyond to get me the color and interior I wanted. just a pleasure to experience a professional, polite and just plain pleasant transfer between and old and a new lease! on time and ready to roll! Guess I found a Dealer for life! Bill made buying my first car an easy and stress free experience. He was honest and trust worthy. He's seriously the best!!! Thanks, bill! Everyone was very helpful and patient. Took extra time to make sure every option was well explained and understood. I definitely would recommend this dealership and Spiros. Purchased a 2019 Golf r on 4/18/19 from Spiros Dedis at Volkswagen of South Charlotte. My overall experience was fantastic. The dealership is spotless and laid out well. I noticed the service waiting room has big bay windows looking out into the service bays - you can watch you vehicle being worked on. Spiros was Great. He didn't push. He knew the vehicle and its specifics. He was good when the bartering started, and I feel he went the extra mile to get me the best deal available. The exception: The financial manager pushed the Smart Payment Plan (make half a payment every two weeks). Supposed to save $$$ and shave months off the load. And yes, I thing it would. But, 1) you save money and time by paying more per month (I can do this myself if I wish), and 2) the Smart Payment Plan is NOT FREE. There is a membership fee (deferred, but you still pay for it), and there is a small fee every time a payment is made. For me, the total caost of the Smart Payment Plan was going to be over $1,300. I canceled the plan the next day (was not informed of fees when signing up at purchase). Overall - Great experience buying a fantastic vehicle. Just should have avoided a "to good to be true" payment plan. Should have been informed of plan fees. We were looking for a certified pre-owned car for our son, who had a certain model in mind, and we found the perfect one on the lot! Spiros and Josh answered all our questions and gave us their undivided attention. They were both knowledgeable and friendly. I really appreciated the dealership being open on a Sunday afternoon! The entire transaction was so smooth and easy. Thanks, guys! Spiros was so amazing and patient with me as we shopped for a new car. My car was unfortunately totaled in an accident, and Spiros listened to each and every one of my concerns/worries. He took the time to price out various lease and purchase (used and new) options for us that fit within our budget - offered his dadlike advice and made sure at the end of the day I was comfortable. This is my third VW, and I am hooked! My family has now bought 4 cars from this dealer and worked with Spiros on all of them. We are always treated respectfully and the deals and selection available are always great! Always truthful, honest and easy to work together to make i happen and to make what can be a stressful situation pretty seamless. Awesome service and experience! Highly recommend this dealership to anyone in the Charlotte area. I have just purchased my third vechike with them and I couldn’t be any happier! South blvd VW team is wondeful Spiro took his time and offering me what I needed that fit my life style thank you for the wonderful service and helping with finding my brand new car will buy from again. 5 star service and care. Saturday rainy and cloudy day. Dispite the weather my in laws my wife and I decided to visit the VW South Charlotte to check their inventory for a certified vehicle. What can I say, I couldn’t expect less, again what a great and pleasant experience when you go to dealer where they make you feel welcome and valued. After checking few cars, we took our coffee break while they were working on getting things ready. My in laws were impressed and happy with their new car. Thank you for another great customer service experience. I really appreciated all the time that Spiro sent with me going over all the features of my new car. He was very pleasant and knowledgeable! I’d recommend him to anyone looking for a vehicle at VW of South Charlotte. This was my second car I’ve purchased there and couldn’t be happier with the level of service I received. Spiro and Moe are the greatest! They found the exact vehicle I was looking for and within my budget. Great service, never felt rushed, the sales person was very helpful to find the right vehicle under my budget. The whole process was very smooth. Spiro and team were great from beginning to end. They gave me an awesome deal on a new 2019 Jetta! I will definitely be back to purchase another car. This is my second brand new car from them. The service at this dealership is amazing! They are efficient and customer-friendly. This life-long Honda driver has now been converted to a Volkswagen enthusiast! Thank you for a pleasant car purchase. The car is pulling to the right a little at high speeds and the steering wheel shakes then. I'll bring it in. This has been my third car that I purchased from this dealership and once again the team here has to be the best in the country. First off, I work long hours and couldn't get to the dealership during normal daytime hours. When I informed Kwasi, my sales person about this, he told me to get there when I could and they will accommodate me. I apologized for being late, but true to their word, the entire team; Kwasi, Spiro and Drew were there to help me with my purchase. I never have been treated so professional in my life and I really appreciate them for staying with me throughout the buying experience. Heck, Spiro took me to my car and completely went threw each feature of my Passat GT. He even told me to be careful because this car had more horsepower than my last Passat. Thanks Spiro, I know it made for a late night for you. Drew, in finance, took extra time with me to explain the details of my contract. I am very happy with and satisfied with my deal.Thanks Drew. Once again, thanks to Kwasi and Spiro for everything. Why would anyone go anywhere else? So here we are again with Volkswagen of South Charlotte turning in our 2016 Passat and leasing the new 2018 model. The reason why we are doing this is simply due to the fact we obviously like the cars and selection of models but more important, the relationship with the dealership. Spiros Dedis is a seasoned sales executive that knows his product well. He has looked out for our best interest each time and made sure we were comfortable and knowledgeable regarding each of the features of the cars we have leased. Al in service is spot on with following up on scheduled maintenance and Drew in finance is quite the gentleman to work with. The owner, Mark Cohen, makes sure that we continue to be happy and has been available for any support ( which we have not needed). My wife and I highly recommend them and have sent some of our friends there as well to visit with Spiros for their vehicle requirements. Patrick works closely to ensure that everyone feels they got their “Deal” and leaves with a big smile. By the way- bagels, coffee, and two lounges even with desk areas, to relax during any visit. Went in to get an oil check on my Jetta and was eyeing the Tiguan. Spiros approached me and did a great job convincing me to do the trade and get the car I love and want. Chris did a great job with the trade in and financing part. I definitely left happy and excited about my purchase. Was looking for a VW Atlas. First met with Spiros Dedis who walked us through the car and features. Was not quite ready to buy and took some time to think about it. Spiros kept in touch frequently and when we were ready to buy Spiros provided all the information we needed and made the car buying experience as easy as it gets. Have nothing but good to say about all that I have met at VW of South Charlotte. Went to the Volkswagen of South Charlotte just to see and test drive a ATLAS, Ended up walking out with a New ATLAS a few hours later. Great experience! Spiros worked with me on a purchase of a new Golf R. He worked on multiple financing options, going above and beyond to get me the best deal on my trade and new car. He is one of the most straightforward and honest car salesmen I have ever worked with . Would recommend to anyone! Spiro Dedis is the best. Attentive and super helpful. The service department rocks! I will definitely buy my next car at his dealership from Spiro. Good buying experience with knowledgeable staff and prompt response time. They really took the time to elaborate on the various options for our new car and gave useful recommendations. Would recommend! We were extremely pleased with our salesman, Spiros. He was professional, knowledgeable, friendly and easy to work with during the entire process. Everyone at the dealership was helpful. I've recently purchased a car from VW of South Charlotte. Staff was very friendly and helpful. They didn't hesitate to spend as much time as needed answering all my questions. They were knowledgable and professional. I would recommend this dealership to a friend. I worked with Sam and Spiros in particular. Sam was honest and patient. Spiros was friendly, passionate about the product and didn't hesitate to go the extra mile. I couldn’t be happier how Spiros made sure that I would be happy with the car I would purchase and was patient will I made sure to get the car of my dreams. I couldn’t be happier. Test drove, made a decision, financed .....drove home. Great experience in purchasing a new Volkswagen The staff was excellent to work with. Felt no pressure just knowledge. Great dealership. Cannot wait to work with the service department. From the moment we walked in it was a great experience. From sales to finance to simple questions they were not pushy and quite helpful. Highly recommend considering this dealership for a car. Thank you so much VW south Charlotte ! What a great experience! Best place to buy a car! What a nice staff with very great prices on cars. Best customer service! Thanks to Mr. Spiro and Ryan. Both great sales reps. My wife got the car she wanted and they did a phenomenal job with hearing what she needed/wanted. Will def. recommend this dealer to friends/family. I typically hate buying cars because I hate dealing with Car Salesman. Most of them are not very knowledgeable, and also do not respect your time as a customer. Spiros was extremely knowledgeable, and kept us informed at every stage about all of our options and decisions. We went to another VW dealership and the guy was nice, but did not know his product at all. Most importantly, Spiros respected our time and was very easy to work with. Made the entire experience enjoyable for once. The people here are simply amazing the best experience if I could rate on a higher scale a 20/10 I would because it has been wonderful experience. Spiros is very knowledgeable and helpful in finding me a great vehicle. He is very attentive to what I was looking for and found a great vehicle at a great price. I have a great experience with Spiros Dedis (Sales Consultant) this past Monday, he was very professional and very helpful to assist me on my leasing options and also he was extremely knowledgeable about the SUV I wanted to lease and was able to answer me and my wife questions. He was never once pressure us to lease the SUV instead he took his time and show us different options to get better deal for our money. Trust me no one wants to deal with cocky, know it all, and overly pressuring sales person. Spiros are the most professional sales consultant I have ever dealt with since I brought my very first car when I was 17 years of age and I brought about 6 cars not including these one through out my life and Spiros is he best of the best. I would recommend Spiros to ALL my co-workers, friends and family and people that I know that needs to lease or buy a car. I am so glad that I have went into Volkswagen of South Charlotte and he was able to help me lease my SUV within my budget and assist me set up my next service appointment so I wont forget and he also introduce me the service consultant and making sure he takes care of me when I go in to service my SUV and show me around the dealerships and where is the waiting room and refreshment area. I am Extremely Please with Spiros Dedis service and will buy or lease my next car with Spiros again and again. Also I want to give another compliment to Alden Sink (Finance Director) he was very professional too and he was very inform with everything I sign and he was extremely fast with the signing process and A lot faster then any of the dealerships that I have been brought cars from. He make sure me and my wife understand what we are signing and communicate with us through out the whole process. Alden made the car buying process very smooth and very fast and me and my wife was very impress with Both Spiros Dedis and Alden Sink. Thank you both again. Great help and service from Sprio and team during our dieselgate Trade-in. Couldn't be happier with the dealership and the new car be purchased. Started as a very pleasant experience, smooth talking turned to misquotes and the need to re-run the numbers. I suggest getting the terms in writing before going in person. Car buying experience was Awesome! Thanks to Spiro, Alden and all those behind the scenes. I would highly recommend VW of South Charlotte! Thx guys! Genuinely kind and helpful staff. This is my second buying experience with VW south Charlotte and I wouldn't think to go anywhere else. Buying a car is difficult enough without feeling like the salesperson is working against you Spiros and the rest of the staff genuinely cared about what I wanted and worked to find a way to get me there. I highly recommend this dealership! We are part of the buyback program for the 2014 Passat TDI we purchased from Mr. Dedis and VW of South Charlotte. To replace the car we looked around at other cars before we went back to look at the new Passat. We love the car and we have had great experience with Mr. Dedis and the entire dealership in both 2014 and the last few weeks buying our new Passat. They are all pleasant and to the point without being aggressive or pushy. That certainly is not the case at all dealerships. I would highly recommend both the Passat, Mr. Dedis, and this dealership to anyone looking for a new car. I went to go look at a pre-owned vehicle that they had listed online. Showed up without an appointment and Spiros was outside immediately asking if I needed help. After a brief discussion about the vehicle we went for a test drive. The rest is obvious. He was very helpful, even texted me (I can't accept calls during the day due to work) throughout the entire process letting me know the progress. They worked with me on my trade in value and financing to get the car within budget. A much better overall experience than one I had with a big name Chevy dealer in town. Would highly recommend this dealer to anyone looking for a new or used vehicle. Spiros was very helpful with helping me fine what vehicle I was needing. Was a relaxing experience and did not feel as if I was pressured into making a decision! He was very knowledgeable about all of the vehicles on the lot and was patient with my decision making process. Will definitely be back to purchase another vehicle from Spiros in the future!! Always dread buying a car but I have to say that Spiros turned it into a positive experience. He is very patient and knowledgable and did a great job at showcasing the car I was interested in. He worked diligently with Rick Pitre to get me the price and financing that best suited my needs. I would recommend Spiros and VW of South Charlotte to anyone. Everybody at South Charlotte VW were very helpful and accommodating! They were patience and did not pressure me to buy a vehicle. This being the first car a purchased on my own I very satisfied with the way they went about everything. I will without a doubt do business with this dealership again. Thanks South Charlotte VW for helping me get my GLI!!! We just leased a new GTI from VW South Charlotte. This is our 4th car leased or purchased from this dealership. Spiros Dedis was excellent - he patiently helped us through the whole process and went out of his way to explain the new features of our GTI. Kent McClure made sure that we were able to leave with a new GTI, and Rick Pitre eased us through the final financing process. Everyone was very friendly, and we would not hesitate to purchase another car from VW South Charlotte in the future. Spiros made a big difference and I was so glad to have closed to deal with him. Promptly returned my calls, was very patient and gave detailed information about the car and everything else. He even helped me get a better deal on the insurance, which, in the end, was the only missing piece of the puzzle. We had an old VW that died recently. We also had to buy a second car this month. Spiro and Wale helped us with both new purchases in that short time. Their knowledge of the product along with their friendly attitude will make us continue to purchase additional vehicles in the near future. Spiros is a very experienced and knowledgeable sales person. He puts his customer FIRST and will go the extra mile to make sure you are getting the vehicle best suited for you !! I recommend him 100% !! We moved to Charlotte 3 years ago and Spiro has helps us with 2 new purchases in that short time. His knowledge of the product along with his friendly attitude will make us continue to purchase additional vehicles in the near future. Brand new GTI Autobahn -Great experience!! We went to a few VW dealerships looking for a new Golf R or GTI! Some had limited stock, arrogant staff or were overpriced. The team here was excellent led by our Greek compatriot "Spiro" who was very thorough, sincere, and knowledgeable, and most of ALL gave us a great deal! We traded in from a Kia Forte 5, and the car and dealership were way above the prior experience with Kia. We loved the cars, the whole experience, the Finance manager was very enthusiastic, and easy to execute the docs with. Everything they said they would do ...was executed with precision. Love the car, and great service too. Thank You!! I took my granddaughter looking for her first car. We were lucky enough to pull into VW of South Charlotte. Spiros greeted us and was so knowledgeable and easy to deal with. We can't say enough kind words regarding Spiros. We met Kent, the Sales Mgr, who was very helpful too. We purchased a Tiguan and for my granddaughter it was love at first sight. We also worked with Matt Giles and he was so professional and nice. This staff is superb. I can only say we left very happy and would do business again. Thanks to all we worked with! 2nd Passat in just over 2 years. Spiros Dedis and his colleagues at VW of S. Charlotte helped me to navigate the diesel emissions issue with aplomb. I'm selling back my TDI Jetta and having my TDI Passat repaired. I turned right around and made a great deal on a TSI Passat and was able to pay for it using the VW diesel refund. Thank you, Spiros and thank you VWSC. Fahrvergnügen lives at VWSC. Spiros and Kwasi are great VW salesmen. After turning in my beloved TDI, I was in search of a replacement but not sure it would be another VW. On my list was the Subaru Outback, Prius, and Mazda CX-5 among others. Both Spiros and Kwasi were very congenial, knew the products exceptionally well, were easy to work with and guided me to the Alltrack which is clearly a better car. I highly recommend you search them for out their expertise if you're in the market. I was actually just walking in to test drive a car, but ended up purchasing it. I really enjoyed the experience. Everyone was super helpful and very nice. I fell in love with the car and my parents were pleased with the price that they offered. I will definitely come back! I recently purchased a 2017 Passat SE and dealing with Kent, Ramsey & Spiros I was impressed with the professionalism of the staff and the entire process from start to finish. It was a no pressure, customer focused atmosphere and that is not the case in many dealerships. I love my new Passat, and the process to get there was enjoyable. Sometimes buying a car can be a tough experience, specially if you don't find the right salesman to support you. Fortunately at VW South Blvd my wife and I were glad to be hosted by Spiros and he made our life very much easier during this process. Always supportive and give us full attention during the time we spent together. Thanks a lot Spiros and it was a pleasure close this deal with you and VW Team. Spiros Dedis gave us an education on all the bells and whistles of the Passat and Jetta!!!. We end up purchasing a R-line Passat. We honestly were Just looking and really not in the market yet to purchase. Fantastic salesman and the General Manager gave us a deal we could Not pass up. Dealership itself to beautiful. Looks nothing like most Dealerships. Even Service department is spotless. Amazing!! !